Whether you have a new home with minimal landscaping or an existing one in need of a landscaping “do-over”, here are some tips to help you save cash on keeping it green. Research – Carpenters say, “Measure twice, cut once.” Avoid making costly mistakes. Learn from books, magazines and websites. Talk to friends and neighbors to find out what worked and what didn’t work for them. There are lots of free resources to explore like county extension agents, local clubs and community gardens, and horticulturists at local universities or botanical gardens. Compare – There are a lot of choices out there and online, too. Sometimes we assume that our local mega-mart has the best deal, but don’t limit yourself. You may not only benefit financially from one of the local nurseries but also from their advice and expertise. Don’t forget to compare pricing from unexpected places, too, like the small local hardware store, the farmer’s market or even the grocery store. Co-op – Pool your purchases with friends and neighbors. Bought in bulk, a truckload of mulch can be quite a bit cheaper than buying by the bag, as can bulk purchases of grass seed or bulbs. Consider pooling online purchases to share shipping costs. Meet minimums on free deliveries like lumber or pavers by combining orders with neighbors. Share the rental of big equipment like tillers or cement mixers. Fair Trade – Use your imagination and trade for what you need. You can save on plants by trading for seeds, bulbs, or plant divisions. Barter your skills and expertise in exchange for the same from friends and neighbors. Buy Used – Lots of bargains can be found on tools, supplies and even plants at auctions, estate sales, yard sales and flea markets. Don’t forget to check online. You may just find what you need, free for the hauling. 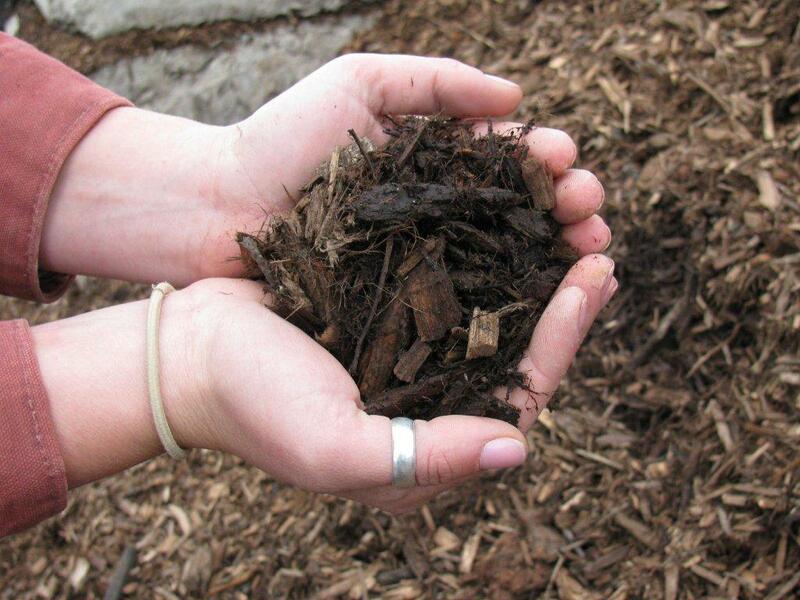 Compost – “Chop your own wood and it will warm you twice.” Once when you cut it and twice when you burn it. Creating your own compost is the same. Save on having your leaves, grass cuttings, garden refuse and kitchen waste hauled away. Save on building up your soil year after year by creating your own compost. Again, do your research. A compost pile managed correctly doesn’t have to smell bad or be invaded by varmints. Plus, you can pat yourself on the back for recycling and reusing.